At the present time, I currently run about five blogs. I do it mostly because I love researching different topics. However, the single most annoying thing that I find myself being forced to deal with almost every single day are spam blog comments. These number from dozens to hundreds depending on the day. Many bloggers or website owners that have commenting systems have to deal with this dilemma and I’m sure they share the same frustration. It seems that even if you’ve enabled comment moderation, that doesn’t stop spammers from automatically submitting garbage to your comments form. Last week, after spending a full 25 minutes deleting hundreds of spam comments from the moderation area, I decided that I’d had enough. This is a dilemma that many website owners have to come to terms with. Do you require that commentators register to your site before commenting? That would completely shut down spam, but it would also virtually shut down commenting. Most people simply don’t want to take the time to register. The only other solution that really works is one that many people are already turning to every day – using Captcha. There are a lot of decent Captcha script packages and plugins out there, but I think the best is one that was briefly noted in the MUO Directory a while back called ReCaptcha. Now, a lot of site owners don’t want to use a Captcha system, because many of them are really annoying. Have you ever tried reading some of those “human-only readable” text smudges? 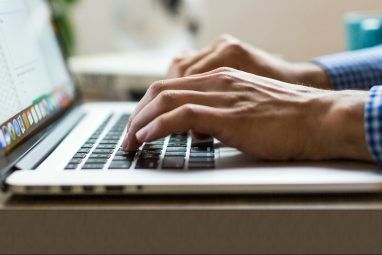 The reason I like ReCaptcha is because it is not only really easy to install on a blog or a website, but the challenge is one that your readers will be able to fly through in seconds – but it’ll stop those stupid spammers cold in their tracks. This was my comment form before installing ReCaptcha. As you can see – no challenge at all, just a simple submission form with a “Submit Comment” button. Now, this wasn’t entirely my fault, because I downloaded a high-quality theme and this was the comments form that came with it – no anti-spam scripting included. Because of that, the mess above is what I was faced with almost every week. Hundreds and hundreds of stupid, meaningless, annoying garbage comments. So, I decided it was high time for a Captcha system, and ReCaptcha is noted throughout the web as being one of the best ones out there. The real question is how difficult will it be to install, can I install the Recaptcha embed response in-page, and how functional is it? 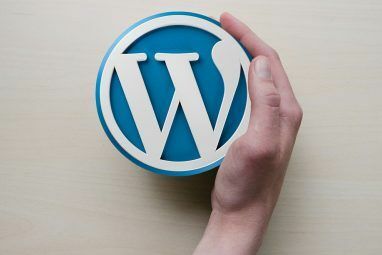 The first step in setting it up is signing up and downloading the appropriate files for your situation – for WordPress that’s loading the wp-recaptcha folder into “wp-content/plugins“. ReCaptcha is available for WordPress, PHP, phpBB, Drupal, Joomla, Coldfusion, Java and all sorts of other platforms and programming environments. Read the intro page to learn more. In every case, you’re going to have to sign up with a ReCaptcha account so that you can obtain a Public and Private key. In WordPress, once you activate the plugin and go into the Recaptcha item under settings, you’ll discover how functional ReCaptcha really is. You’ll first need to fill in your public and private keys so the plugin will work. You’ll notice that you can make ReCaptcha a bit less annoying for registered users by hiding it. It’ll also secure the registration form. Best of all, you can enable the MailHide feature, where ReCaptcha will convert every single email address published on your site into a link with the actual email address hidden – preventing the email address from getting lifted by spammers that crawl the net. 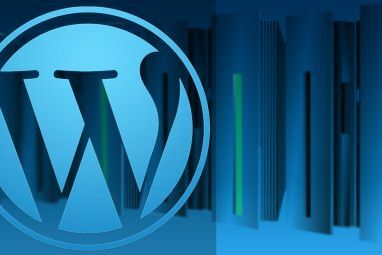 This is great for WordPress users, but what if you have a website written in PHP? The Recaptcha website details simple instructions for just about every setup you might face. For example, inserting ReCaptcha into a PHP page is as simple as adding this element to your form submission. Obviously, you’ll need to have the code for verify.php and the recaptchalib.php file uploaded, but all of that is provided in the download package. It’s very simple to install ReCaptcha on any site and on any platform. It’s so effective in fact that it’s the app recommended on the official Google Webmasters blog. So, now that I’ve installed it, this is what the comments area now looks like. Type in the wrong response, and the page simply reloads with the following error listed over the ReCapcha box. OK, it’s only been running for a little while, but while I used to receive dozens of spam messages a day, I haven’t received a single one yet. It is surreal. I have so much free time now, I might have to take up golf or something. Do you use a spam-blocking tool or script on your own website? What’s your preference and why do you like it? Share your insight and tips in the comments section below. Explore more about: Blogging, Spam, Webmaster Tools. I wanted to thank you for this great read!! I definitely enjoying every little bit of it I have you bookmarked to check out new stuff you post !!! Recaptcha is the great spam defandar.site worked great. ugh i just started getting automated comment spam so i decided to google and your article came. Definitely bookmarking it. Thankyou for such a clear guide. Pretty awesome post. I just came upon your website and wanted to point out that I've definitely enjoyed reading your website posts. I'll opt-in for your feed and I hope you publish another post again shortly! This thing is pure evil. It prevented me from submitting a form for a quotation on some parts I was ordering, costing the vendor my business. After 6 tries and incoherent error messages, I finally gave up. After each try, the ENITRE form contents were reset and I had to enter them all over again. Pure -- evil. You have to implement Recaptcha on your blog. 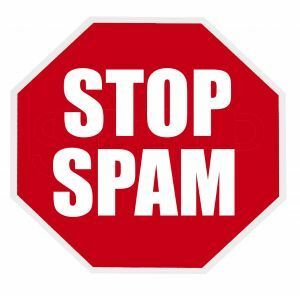 Otherwise you are just asking for spam! Thank you for posting. I find on Google and see your blog, I like your post, i have bookmarked it. Very thoughtful point about home heating. I do agree we all have to look for long term solutions for our homes. That would be nice and cool though i think if we do that we need a lot of many. if you're using it and you're not getting spammed this week, it's not because of recaptcha, it's because you are a low-value target. Disqus will currently show recaptcha images for anonymous commenters who include a link in their comment: [Broken Link Removed] We've found that specific set of conditions will catch a ton of spam that somehow slips through our filters. Great article, have installed and had no spam for two days so far. Added link to this article in my blog. If your blog use wp, very easy install this plugin. I'm using Spam Karma and Bad Behavior for more than 2 years now. I used reCAPTCHA on a Drupal site and it worked great. Now that I'm using WordPress though, I switched to Disqus for comments. Is there any way to integrate it with the Disqus service or do you think it would be needed? I really doubt it's possible to integrate it with Disqus. Disqus is loaded from a remote server and doesn't let publisher add additional elements to the comments box. We've found that specific set of conditions will catch a ton of spam that somehow slips through our filters. oh yeah, my bad, it does show recaptcha for anonymous commenters. I'm running WordPress w/ the Akismet plugin. From the dashboard of the sports blog on my site: "Akismet has protected your site from 10,248 spam comments already" This is since 12/09. Recaptcha is the best spam fighter.